Friday April 12, 2019-The man who killed Moi University Medical student, Ivy Wangenchi, has undergone head surgery at Moi Teaching and Referral Hospital in Eldoret. According to doctors at the hospitals, they decided to perform surgery on Naftali Kinuthia after realising some blood clots in his brain. Kinuthia was badly mauled by an angry mob on Tuesday moments after brutally murdering Ivy Wangeci – a lady believed to have been his ex-lover. 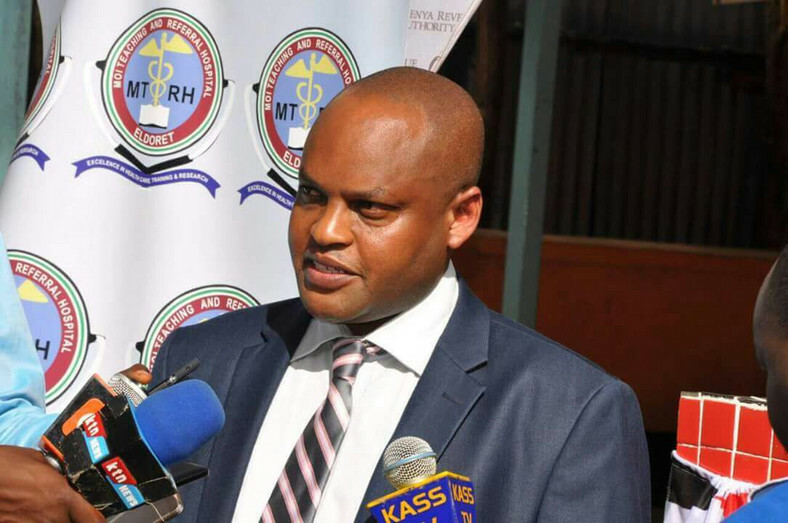 Speaking on Friday ,MTRH Chief Executive Officer, Wilson Aruasa, confirmed the attacker had sustained severe head injuries including a skull fracture. “He had a depressed skull fracture on the right. Doctors conducted a head scan to ascertain the extent of the injuries. He underwent surgery and is currently out of danger,” said Aruasa. However sources said Kinuthia’s head surgery may take even more than a year to recover fully and this may jeopardise the murder case where he is accused of killing Wangechi.